Is it a Cold or Allergies…or A Toxic Home? Is it a Cold or Allergies… or A Toxic Home? It seems as the seasons change I am always hearing of friends coming down with the never ending cold. People are plagued with a runny nose, itchy throat and watery eyes for a couple of months through the fall. But, is it a cold or allergies that is impacting your well-being? I started to wonder if my friends were in fact suffering the never ending cold, or if they simply had a case of severe fall allergies due to those pesky weeds, or something worse: A Toxic Home. So I started to investigate. I figured if I could help them sort out their symptoms perhaps they could treat them correctly and return to living life and maybe even help improve their indoor air quality. If you have been suffering for days, this list may help you determine if you’re suffering from a cold or allergies. Runny Eyes: While eyes may usually water with a cold, they can run uncontrollably with allergies. Itchy Nose: Both allergies and colds produce a runny nose and congestion. Allergies, however, are what create the never ending itchy nose. This itch generally originates in the back of your nose and is impossible to “scratch”. Those suffering from nasal pruritus (the technical term for “itchy nose”) often are rubbing their nose, or scrunching it up like a bunny to alleviate the discomfort. The Sneeze: Frequent sneezing, especially quietly sneezing is common with allergies. Allergy sneezes are a way to remove allergens from the nose. Sneezes from colds tend to be loud, deep and sporadic are ways to clear bronchial congestion. Mucous Colour: The colour of the mucous your runny nose creates can definitely help you determine whether you have allergies or are suffering a cold. Mucous is usually clear with allergies, whereas with a cold tends to have colour, which indicates infection. Cough: Coughing is mostly associates with a cold. Allergies, however, can cause the occasional cough from post nasal drip throat irritation. Dark Eye Circles: Dark eye circles are caused by the veins in the area being unable to drain due to chronic nasal congestion. Common colds do not usually cause this symptom. If you think you have allergies, it’s probably best to avoid various allergy and asthma triggers like dust, mold and pollen and look for ways to help allergy proof your home. 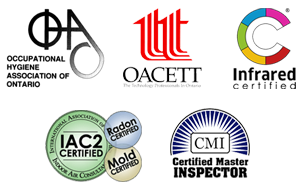 Also, investigate the indoor air quality within your home, and look for sources of indoor air pollution to see if there may be contributing issues. If you think you have a cold, perhaps try eating some cold busting foods that can help you feel better sooner. You can find a list of these foods here. 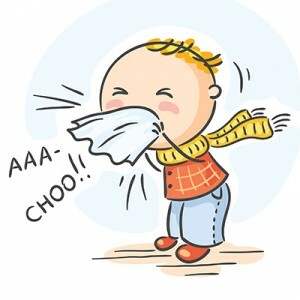 In any case, the above suggestions should help you resolve the common query: is it a cold or allergies….or a toxic home.